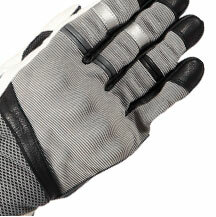 Weise has been at the forefront of innovation and style in motorcycle clothing for over 30 years. 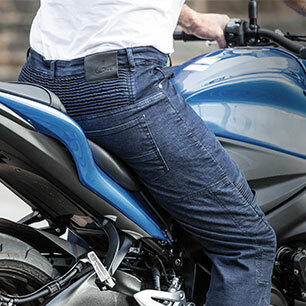 Our expert team are dedicated to providing the highest quality clothing and accessories across the whole spectrum of a rider’s needs, whether you’re an adventure tourer or an everyday urban commuter. 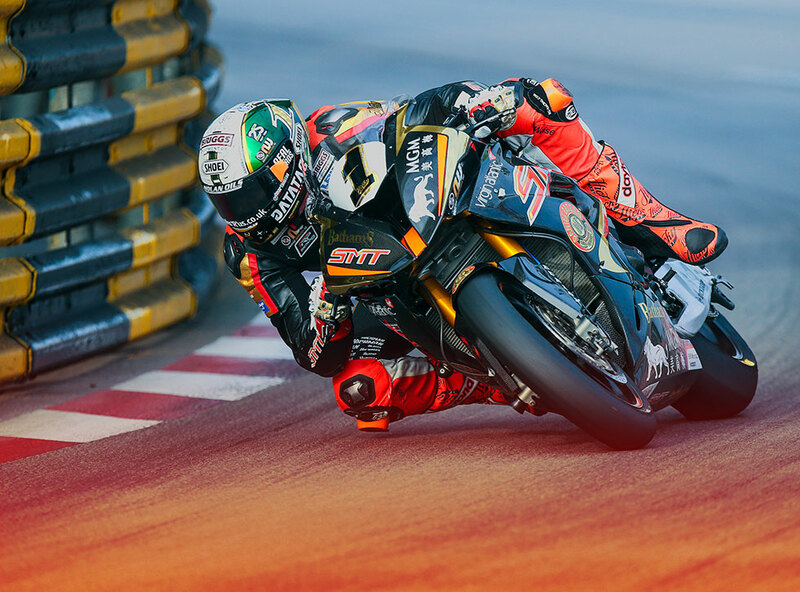 We’ve developed cutting-edge technology to increase comfort and safety, with endorsements from Peter Hickman and Craig Neve acting as a testament to our reliability. 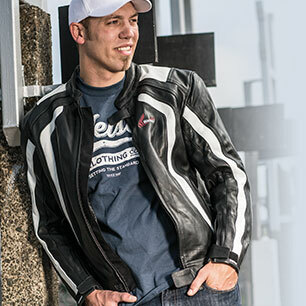 Weise clothing is created by riders for riders. We’re well aware of the rigorous demands of riding, and invest the range with features that can take on every extreme of weather and environment. 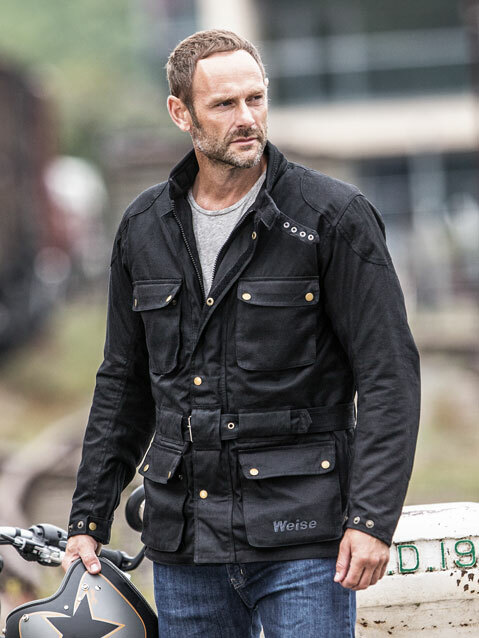 From classic leather jackets and casual wear, to touring suits, trousers and gloves, the Weise range is powered by passion and fuelled by adventure. 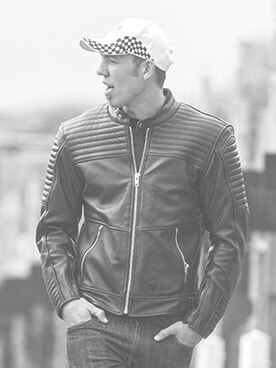 The Weise motorcycle clothing range has built a strong reputation for quality, innovation and style. 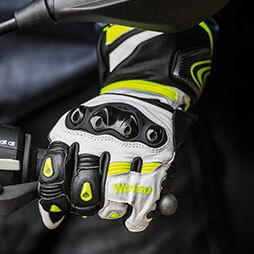 The comprehensive range offers everything you need for a safe and comfortable journey, as well as ensuring that you look great on and off your bike. Our textile jackets and trousers are packed with innovative features, including the revolutionary NASA-developed Outlast® fabric, guaranteed to regulate your temperature whatever the weather. 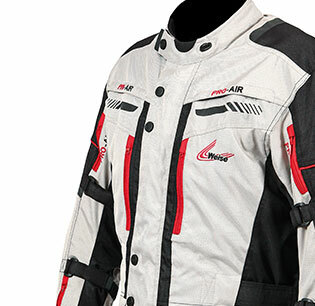 Style and safety are at the forefront of our approach, whatever the demands of climate or terrain. Our glove range features Scaphoid Protection System (SPS) and mcFIT technology to guarantee both safety and comfort, while our range of retro-styled leather jackets add vintage style to every journey.